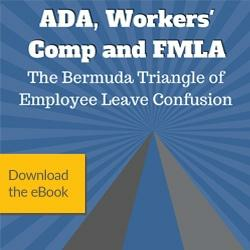 What would happen if one of your employees became disabled and was temporarily unable to work? How would they support themselves and their families? What if an employee had to undergo an unexpected surgery that would keep them out of work for a period of time? You can protect your employees from a financial crisis by offering STD benefits or short term disability insurance. If one of your employees found themselves unable to make their regular income, you’d probably worry about them, wouldn’t you? Knowing your employees can use their STD benefits in this situation would certainly help you sleep better at night, right? You’d know they are being taken care of personally and financially so they can recover from their disability and return to work as soon as possible. The sad fact is, most of your employees will be disabled for some period of time before they retire. So, protecting their financial livelihoods with benefits like short term disability insurance is an important piece to your benefits offerings. Short term disability benefits are used when employees experience an accident, surgery, or personal crisis that prevents them from working and receiving their regular income. In some cases, disability insurance even provides an income source when an employee gives birth to a child and the immediate recovery thereafter. To qualify for payment, you or the employee must pay a monthly premium. Once the employee leaves work, there is usually a brief waiting period before they can commence their benefits. Their benefit payments are usually around 60% of their previous wage, subject to the policy rules and approval from the carrier. Not only will employees receive some pay while disabled, the STD benefits can prevent them from having to use up all of their paid time off. Employees can choose to use PTO or go unpaid until their disability benefits kick in. In most STD policies, the use of PTO pay after the STD waiting period will offset the amount of disability benefits you receive. Most STD benefit policies require documentation from a doctor stating the employee’s condition and an estimated time frame for the duration of the disability. The employee may need to report on the status of their disability, depending on the situation. Disability benefits are not the same as workers’ compensation, the main difference being that worker’s compensation is work related and disability benefits are non-work related. STD or short term disability benefits only pay a portion of your employee’s income for a short period of time, usually between 9 and 52 weeks (one year) at the most. Once short term benefits expire; employees may have the option to move to long-term disability benefits (LTD benefits) if available, or go on social security disability insurance (SSDI). Some STD benefits plans can automatically roll-over into LTD benefits if your employee is still disabled. 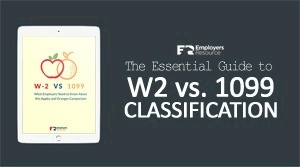 If you choose to work with a PEO like Employers Resource and would like to consider adding short term disability benefits to your insurance package, there are a few things you’ll want to know. Here is a summary of the options we have available to our clients. If you are a current client, we can run a census to give you a premium quote for each of the options available. You can then decide which options to select during annual enrollment, before the annual client participation agreement documentation is finalized. If electing short term disability, you can add the election to the client participation agreement, complete a standard application and we will submit it to the Standard Insurance Company. Once approved by Standard Insurance (usually takes about a week), we invoice you monthly for the premiums due and the policy is in full force! If you have questions about STD benefits and why they are important for your business, contact us anytime. Subscribe to our blog below for more helpful articles sent right to your inbox. What is Annual Open Enrollment?